I give Facebook not more than three years and then it is just another myspace. I know this is a very strong statement but we have to face it. The secret of Facebook had three big components. 1. It was limited to certain schools. Facebook opened it's portal school by school to officially control the growth and to ensure to keep the portal running. However more important was the factor that kids did want to join a network which they could not. It is similar like a night club. We all know the good clubs have bouncers and only let few people at any time in to keep a big crowd outside. This alone drives more people to the club. The human nature is pretty simple. We want to be a part of something others can't be. Especially for younger people under 25 (when they are still in the phase of having hundreds of "friends") there is nothing better than to tell everybody that they have been somewhere special. I can remember (as a teen) I was standing 2 hours in front of a club to get in. Finally it was time my friend could not get in because he had white socks. We run home, he changed and we tried it again. Only that we could tell our friends the next day, that we were at club xyz and how cool it was. Even if it was not cool, because it was too crowed. Facebook was the same. We always asked others if they are on Facebook. But today almost everybody is on Facebook and it is almost cooler bot to be on it.there is almost no li,oration to sign up for FB. 2. Facebook was advertisement free and clean. A lot of people left myspace and joined Facebook, because it was much cleaner and easier to use. One click and your page is ready. At myspace we needed to spend an hour to get all things nicely set up, we had just too much options. And everybody had different colors and fonts, it was horrible. 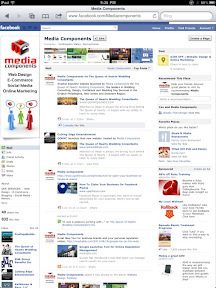 Facebook on the other hand was minimalistic and clean. No ads and easy to use. 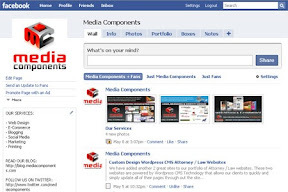 Today companies can have Facebook pages and these pages are sometimes full of chaos. Privacy settings are so complicated that it needs hours of reading internet forums to understand how to set it right. And then the layout is changing monthly. Suddenly we have at the right a selection of friends or notifications are moved to top navigation and so on. Missing one month to go on Facebook is like learning FB again. Ads are everywhere. In status updates, in wall entries, on uploaded photos and of course on the right rail. But worse, many ads are not instantly recognizable as ads. I understand that FB needs to generate revenue but from a company where the founder hated to have ads to a company which is starting to cannibalize the space with ads, it is a big change. Facebook understood very fast that an open API for app development is key factor to grow. This allows many new features developed free by others. The biggest hit in Facebook are the games. People like to play small and easy games. Before Facebook were many other places to play games but either you had to search for it, or were miserable in layout or did costs money ($10 a month the good games sites). With Facebook everything changed. You needed only to go to Facebook and could play tons of games from very silly like feeding your fish to see them grow to strategic games like chess. And then came Zynga and made all of us playing Farmville, poker etc. The strategy went really well. However at a certain point there were too many role games an we got tons of notifications that somebody poked us or somebody needs help fro xyz. the whole start page was full of requests. Lucky wise they moved it away. Today it is almost not possible to find games we play only the ones which are promoted. I tried to find a travel map app, and I am sure there is one, but I got lost. And since Android and iPhone most of the games are available outside of Facebook. We started to play on our phone instead on Facebook. As great the idea of games was, Facebook missed mobile and allowed too much flash. They are changing it but it might be too late. Facebook doubled since 2009 their members. FB had in May 2009 350 million members. Today FB has 750 million active members however in 2009 in average 10,000 people did deactivate their account on a daily basis. Today is is in average 100,000. All this is of course not enough reason to believe that Facebook will die. Myspace, as bad as it was, would not have died, if there was no alternative. And till a few weeks ago there was no alternative to FB. Google finally started a social network which is ad free, no chaos, very clean and only open for invitations. Exact same methodology as Facebook once had, but with easier privacy settings. A small feature with big impact called circles. Granted Facebook has groups but much harder to work with than circles. But google has something more. The time for having just a social network as entry point is over. We want to go to one portal and do everything. This is exactly google. 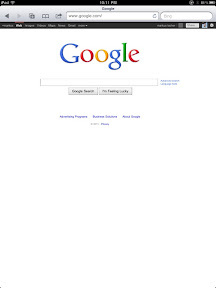 Going to google.com allows us to do many things and now to be social. If you have a gmail account which most of us have then you have a nice navigation on top of the page when you are logged in. And google does not need to have ads on google plus (their social network) because they have so much real estate on google search, YouTube, gmail etc. I am pretty sure google will hold off with ads till they destroyed Facebook. Facebook will of course make more and more money through ads, but if more and more people go to google and the advertiser understand that advertising on Facebook is even more expensive than on google then the game is over. Big difference between google and Facebook is that FB wants to keep the people on their website, and google does not keep the people on theirs. At the end advertisers will prefer a solution where the click of the ads will guide the user to an experience the advertiser controls 100%, which is not the idea from Facebook. And then there is mobile. Google owns half of the mobile market and can easily get the users to mobile. Facebook is late with mobile and did not find yet a good solution. If google starts to open google plus for 3rd party developers then good bye FB and hello google plus. Mobile with social integration is the future. Trying to keep users within a social network is not the future. Social will be a part of everything and the company which offers the service wins over the company who controls a platform. Facebook might be in 2012 too late for an IPO, but for sure it will get into our history books as the biggest billion dollar loser of the century. The only chance FB has is to go very soon public and use the money to reinvent themselves. The good news is that a Mark Zuckerberg will win billions and regardless if FB dies or not, we will hear many years from him as one of the biggest investors like today the paypal mafia is famous. I will never leave the facebook as my social media site. I like to use the facebook every much. Facebook has a good sharing application by which I can able to get to my friends and family in touch. Iceland Getaway you might eventually when social is a service. Using your mobile device makes more sense and google has here a much better chance. And soon will come tools to migrate to google. You want still stay then on FB when all your friends are more active somewhere?